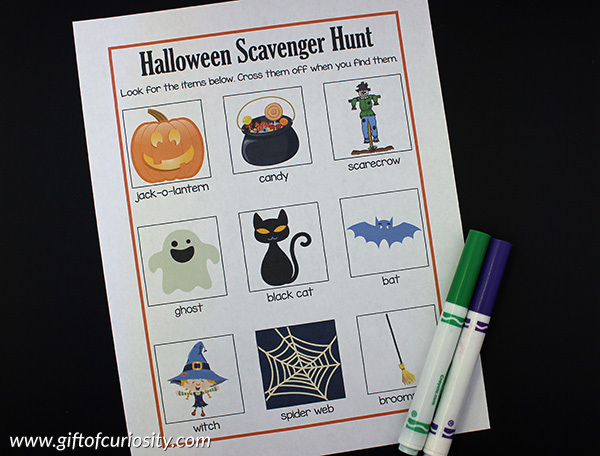 Today I’ve put together a fun Halloween Scavenger Hunt activity your kids will enjoy this October. 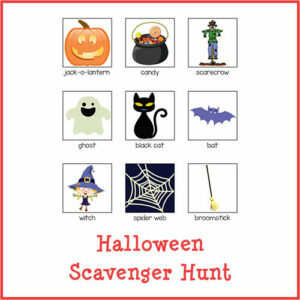 You can use my scavenger hunt while taking a daytime walk about the neighborhood or while trick-or-treating at night. 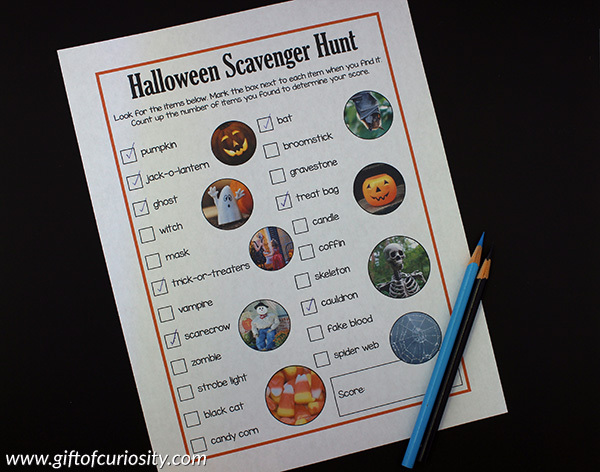 If you’ve got a child who is afraid of things like spiders and skeletons, use the scavenger hunt as a friendly way to show them there’s nothing to be afraid of. 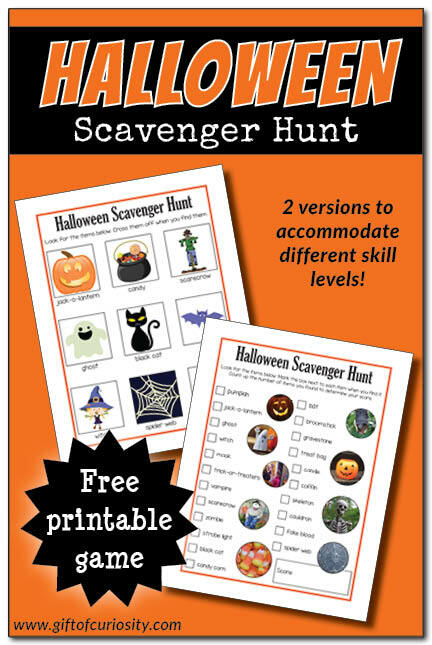 I’ve put together two different versions of my Halloween Scavenger Hunt so children of all reading levels can join in the fun. 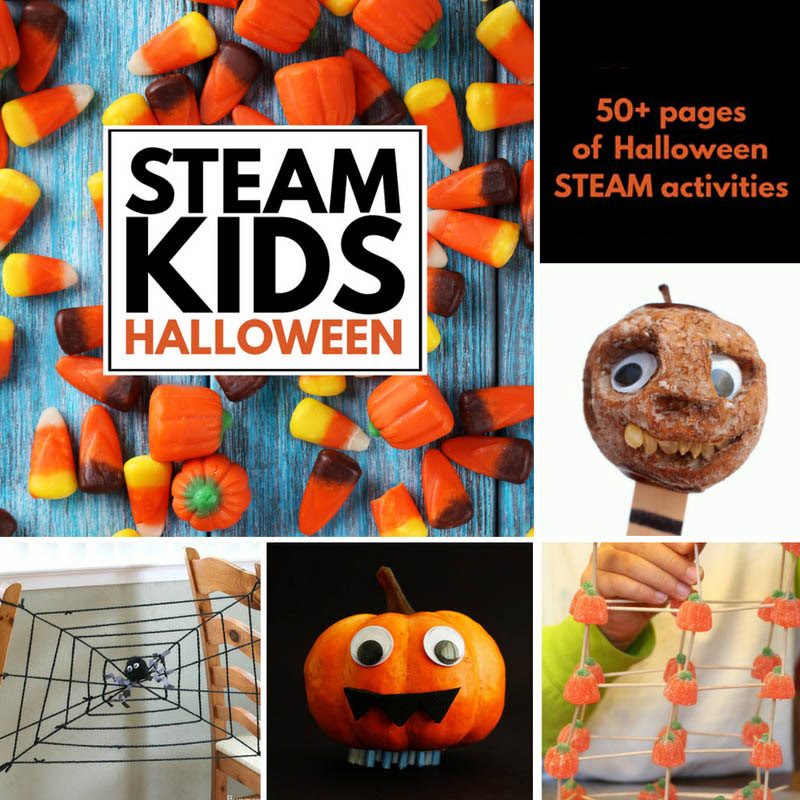 For the younger kids who may not be reading yet, I’ve put together a simple Halloween Scavenger Hunt featuring nine items to find and cross off their list. All items feature a picture as well as a label for the picture. For older kids who are reading independently, my advanced Halloween Scavenger Hunt will have them hunting for 22 different Halloween items. There is an option to total up the number of items they find to get a score. If you choose to play competitively, the person who finds the most items and gets the highest score wins! 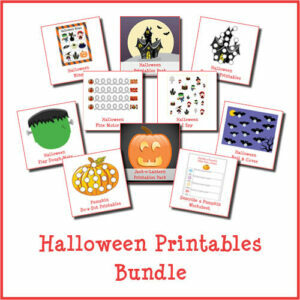 Want a copy of my Halloween Scavenger Hunt?